In VIVO and In VITRO fertilization – What’s the difference? 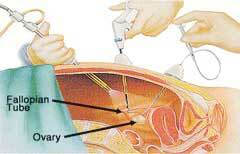 Fertilization of a ripe egg within the uterus of a fertile donor female, rather than in an artificial medium, for subsequent nonsurgical transfer to an infertile recipient. Whereas In vitro fertilization is occurred in lab, artificially, and with several humanized techniques. Fertilization of a ripe egg with sperm outside the body of organism (in lab). It is a technique which is used to cure infertility in human. The offspring produced by in-vitro fertilization is called ‘test-tube-baby’. The first successful test tube baby named Louise Brown was born in 1978. For details on in-vitro fertilization read here or here. In vivo are simply those reactions occurring in the bodies of organisms, (digestion, release of endorphins, etc) while In vitro are all other reactions which are carried out in lab. (e.g Formation of acids, Formaldehyde production, Alcohol formation). Any comment (whatever it may be) will be appreciable, as it promote thirst of knowledge. Nice site full of info. It is glad to find your blog. Really a great resource of information. It is really nice to know the difference between In VIVO and In VITRO fertilization through this post. Look forward for some more information from you. Keep sharing. Pingback: What Are the Differences Between In Vitro Vs. In Vivo?